Welcome to the wonderful world of Vitamix blenders! There are a variety of Vitamix blenders for you to choose from, but you can rest assured that each of the Vitamix Professional Series blenders are built to be battle tanks in the kitchen. This high performance appliance incorporates commercial grade components with advanced technology to deliver superior results in the kitchen each and every time it is used. If you have never encountered Vitamix blenders before, then you are in for a real treat. 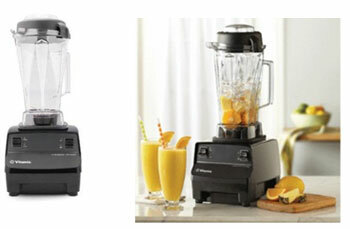 Vitamix blenders can make short work of any blending challenges that you might throw at them in the kitchen. This is due to the unique, patented stainless steel hammermill and cutting wet blades that have been incorporated into its design. These unique blades are equipped to blend, mince, chop, and dice whole foods better than any other blender on the market today. Furthermore, you never have to worry about a Vitamix blenders overheat food during the blending process, which can damage the nutritional value of the food. 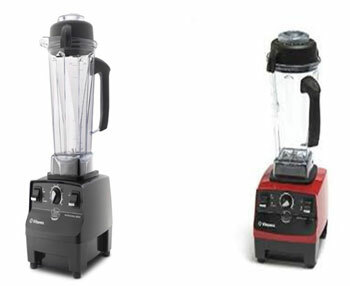 All Vitamix Professional Series blenders are constructed from Eastman Tritan polycarbonate and are typically 64 ounces . This material features the durability of polycarbonate, but it features improved chemical resistance and sound dampening capabilities. The ergonomic design of Vitamix blenders ensures that they are easy to hold in the hand, and nonslip bases ensure that you never have to worry about your blender accidentally tipping over while it is in operation. Vitamix blenders also feature spill proof and vented lids for your convenience. Their removable lid plugs make it simple and mess free to add ingredients, even when the blender is running. Lastly, but certainly not least, cleanup after using your Vitamix blenders is a snap. All you have to do add a few drops of dish detergent and some warm water to the blender pitcher and allow it to run on high for approximately 30 seconds. 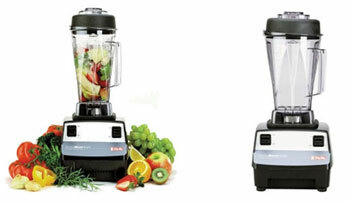 It is a guarantee that you are going to love Vitamix Professional Series blenders. 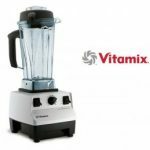 Vitamix 5200c Countertop Blender Review! 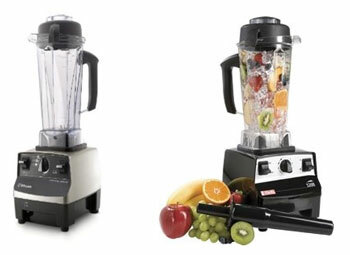 The Vitamix 5200 has long been the flagship of the Vitamix Professional Series blenders. With multiple speed settings to choose from, it is capable of performing even the most difficult tasks in the kitchen with ease. Its powerful motor features an impressive 2 horsepower, and the motor propelled blades are capable of reaching speeds of up to 240 mph. The blending pitcher of the Vitamix 5200 can accommodate up to 48 ounces in capacity, and the powerful vortex force of the blender forces ingredients to move up and down to ensure the each one is thoroughly blended for superior results. A comprehensive 7 year warranty. 48 ounce, BPA blending pitcher. 2 part, easy to remove lid. An included whole food recipes cookbook. 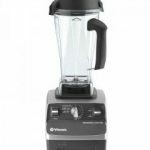 Vitamix 1300 TurboBlend 4500 Review! The Vitamix TurboBlend 4500 is a state of the art appliance that is still simple to use for day to day operations in the kitchen. The one touch controls of the blender are conveniently placed, and the speed dial allows you to easily manipulate the speed of the blender. 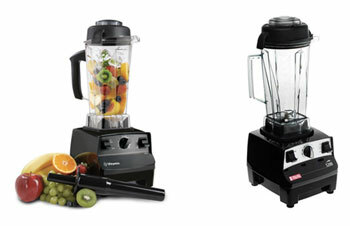 The Vitamix TurboBlend 4500 can chop food, grind meat, make milkshakes, and blend various sauces, among many other things. 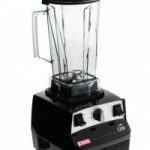 Included in your purchase of this blender is an instructional DVD that will provide you with a crash course in all things Vitamix blender related. Also included in your purchase is a measuring cup that can double as twist plug. Commercial grade, 2 Hp motor. Stainless steel components for durability. Thermally protected motor for its protection. Vitamix 1710 Professional Series Review! The latest addition to the family of Vitamix blenders is the Vitamix 1710 Professional Series blender. The Vitamix 1710 Professional Series blender features completely new programming, and each of its new speed and timer settings are powered by a powerful 2 Hp motor. The new programming of this Vitamix 1710 Professional Series blender provides automatic cycles for making a wide variety of different foods, from frozen desserts to hot soups. 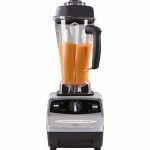 Included in your purchase of this blender is a cookbook that will provide you with dozens of more recipes that are guaranteed to become your new favorites. Constructed in the United States, its stainless steel construction is guaranteed to seamlessly match the existing décor of your kitchen. A large capacity, 64 ounce container that is BPA free. Mess and spill free lid that features a removable plug. Patented tamper for creating thicker concoctions. Vitamix CIA Professional Series Review! The Vitamix CIA Professional Series blender features a powerful, 2 Hp motor that is capable of reaching speeds of up to 240 mph. 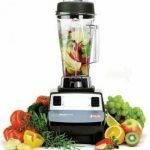 With this type of muscle behind its deceptively simple appearance, the Vitamix CIA Professional Series can be used to blend, puree, chop, juice, and grind fruits and vegetables among many other options. There are ten different speed settings to choose from, the blending pitcher features a generous, oversized design at 64 ounces. An included instructional DVD will give you a crash course in all things Vitamix, and the free cookbook provides over 300 different recipes that you can create with the Vitamix CIA Professional Series to experiment with. A generous 64 ounce blending pitcher, which is BPA free. A spill proof lid, which is vented for convenience. Includes an instructional DVD, owner’s manual, and recipe cookbook. Vitamix Blenders are Great for Green Smoothies! There are thousands of satisfied customers will attest to the high quality, efficiency, and professional results that Vitamix blenders produce. In all honesty, Vitamix Professional Series blenders are not inexpensive appliances, but are they really worth the investment? If you believe in the concept of “buy once, cry once”, then investing in Vitamix blenders for your kitchen just may be the right decision. 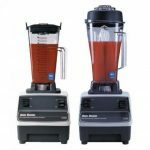 While there are less expensive options for blenders than Vitamix creations, these same blenders are not going to have the high performance output and generous life of Vitamix blenders. When it comes to the construction of Vitamix Professional Series blenders, careful attention has been paid to its detail of its craftsmanship. For example, the interior assembly of the motor and other components have been created from stainless steel to ensure their durability and continued use. Furthermore, Vitamix blenders feature metal to metal drivers, and the motor of each blender has been provided with thermal protection to provide for optimal performance. One of the most appealing advantages of choosing to invest in your own Vitamix blenders is the confidence that you will be investing in a product that is backed by a comprehensive, 7 year warranty, which covers both parts and labor. The manufactures behind the Vitamix brand are so confident in the product they have produced that they are willing to offer such a warranty. See what all of the fuss is about today and invest in your own Vitamix blenders. can even blend meat pieces? Hi Anil, yes if you somehow fall off your raw diet Vitamix blenders can grind just about anything even meat 🙂 Really powerful machines!! !